Shakewell is a big band in Missoula—quite literally. With six members, Shakewell fills a stage, making them hard to ignore both physically and musically. Shakewell concerts are sure to get you up and dancing, and the band, who calls Missoula home, has grown from playing restaurant floors in Missoula to traveling the northwest, performing and recording from Denver to Seattle. Their sound is hard to pinpoint — it is fun and poppy yet soulful, all at the same time. The members of Shakewell all hail from western Montana and, at various points in time, attended the University of Montana. While Shakewell has been making music in Missoula since 2013, the band has fluctuated and shifted band members throughout the years. The most recent incarnation features Emmet Ore (guitar) from Three Forks, Jordan Smith (vocals and bass) and Cove Jasmin (vocals and keyboard) from Hamilton, Aaron Johnson (drums) from Butte, and Tanner Fruit (saxophone) and Nathan Crawford (trumpet) from Missoula,. These six friends come from a variety of musical backgrounds, each with his own distinct inspiration, and it’s that broad range of interests that makes their sound so uniquely Missoula. Cove Jasmin, lead singer and keyboardist for Shakewell, sat down over coffee at Le Petit Outre with Destination Missoula to chat about the band and the Missoula music scene. And this blending of sounds and ideas and opinions is very indicative of Missoula as a whole. This is a meeting place, after all. Five valleys, three rivers, and people of all walks of life converge here in this amazing place. 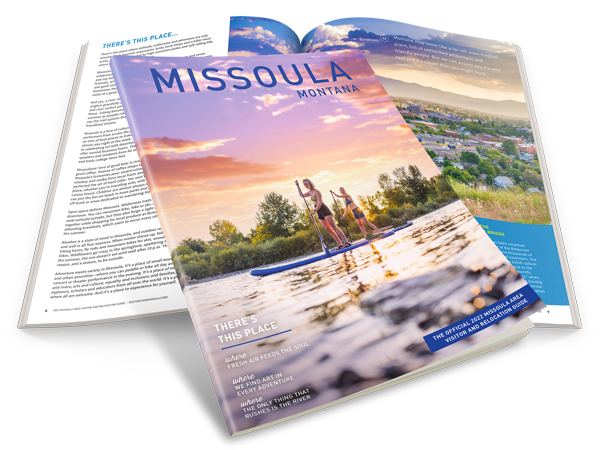 So it makes sense that a band from western Montana who have chosen Missoula as their home would create a sound as diverse as the place where they reside — where different people, opinions, and personalities meld together to form something singular and beautiful. These days, Shakewell has released a full-length album, travels across the northwest from Seattle to Colorado to play shows, and plays venues like the Top Hat here in town, even playing a packed New Years show multiple years in a row. When they first started, however, their Missoula shows were significantly smaller. Shakewell members also play all over Missoula in various configurations and side projects. They have played as a group and as solo artists at almost any brewery you could name . The support they have received from the Missoula community, Jasmin says, is amazing. The band reached a turning point in 2016 when they decided it was time to record an album. They went to a studio in Evergreen, Colorado, called Evergroove, and set off to work, surrounded by the beauty of the Rocky Mountains. “We got in contact with Brad Smalling at the studio and one of our idols, a guy named Al Evans who plays in a band called Soulive, had done some recording there. So we just asked [if Brad knew Al], and Brad was told us, ‘Yeah, just email him! I’m sure he’d love to work with you guys.’” Al Evans agreed to produce their first record, titled Marzoula. Recording, he says, helped the group focus on what kind of a band Shakewell is — what their sound really is. Shakewell released their album Marzoula in 2016. Shakewell performs at the Wilma Theatre.